Willow’s design is inspired by the beautiful open spaces that envelop it. 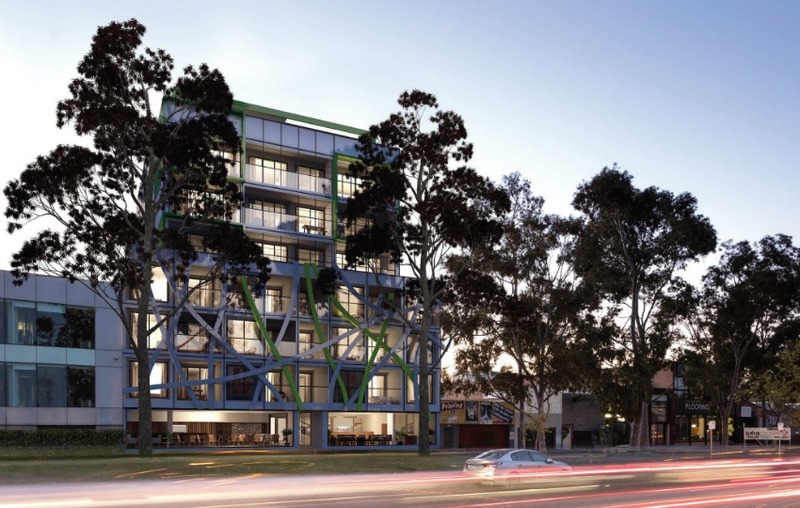 The sculptural, lime-green branches that line the podium of the Hoddle Street façade call to mind the sweeping boughs of indigenous willow trees meandering along the Yarra River and touching the water’s edge. Warm light pours through skylights and floor-to-ceiling windows, reminding residents of the sun-dappled parks nearby. 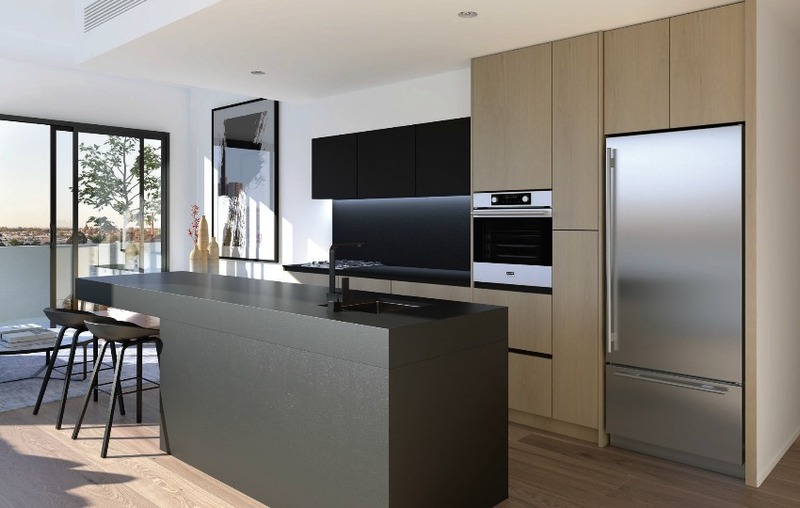 Like Collingwood itself, the interior design elements are a juxtaposition of wild and modern, from soft maplewood cupboards to sleek black reconstituted stone countertops, a sleek black backsplash, and a stainless steel fridge. 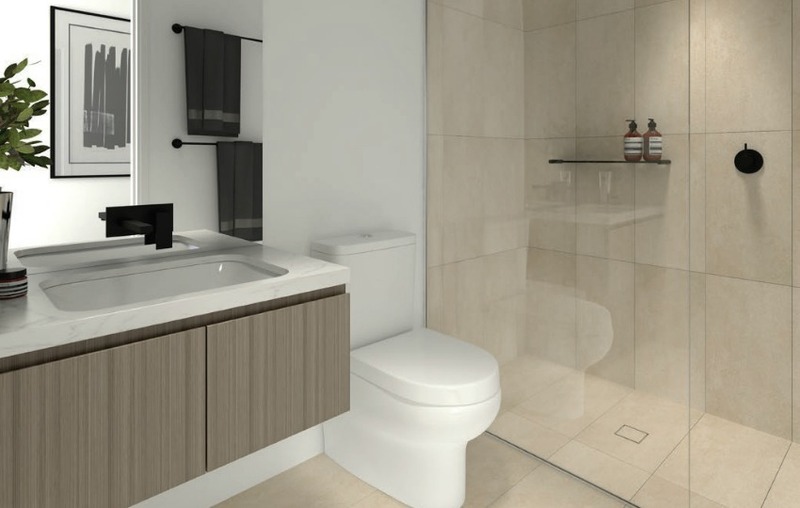 The matte black fixtures extend to the restroom, which stars an expansive walk-in shower with a rainfall water feature. There’s no need to cover the timber floors with a rug, and the high ceilings are suitable for beautiful shelving. 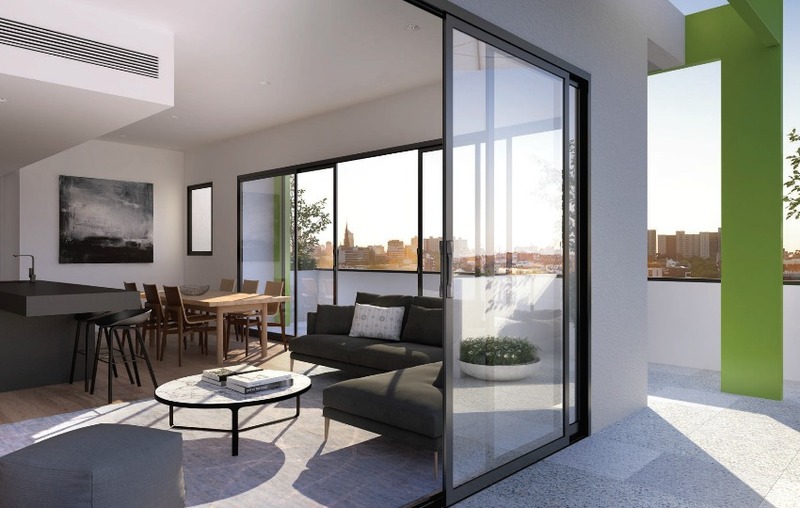 Residents’ décor is not limited to within their walls: Willow’s rooftop communal space is outfitted in custom wood banquettes and edgy stone planters filled with native flora. Hunting for the perfect parking spot is no longer necessary thanks to Willow’s state-of-the-art car-parking system. Customised and engineered specifically for Willow, this modernistic system provides space-efficient vehicle storage by way of grid-like towers, car-show turntables, and semi-automatic lifts that whisk your car up into an elevated space, then return it to you at the touch of a button. Think of it as your personal valet service, day and night.